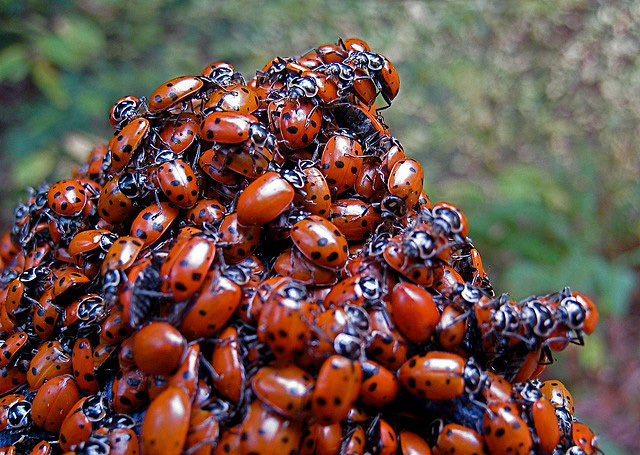 Convergent lady beetles (ladybugs); photo by Steve Jurvetson on Flickr (use permitted with attribution). A common species throughout the United States, the convergent lady beetle (Hippodamia convergens) is mainly a solitary species, except when overwintering, when hundreds may collect. 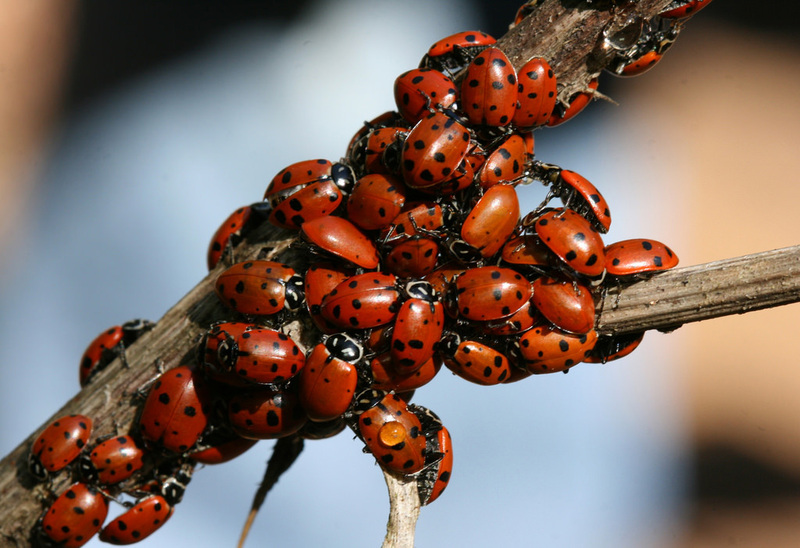 Five other states recognize ladybugs as official insect symbols: Delaware, Massachusetts, New Hampshire, Ohio, and Tennessee.